TOKYO　October 14, 2016　-- With a large pool of potential candidates from Nippon Professional Baseball (NPB), top-ranked Japan finalised its selection of players who will compete For the Title of World Champion in the upcoming WBSC U-23 Baseball World Cup 2016, which opens on Friday the 28th of October in Monterrey, Mexico. Japan turned to NPB for 18 of the 24 players named to the National Team, with the Rakuten Eagles leading all NPB clubs with four Eagles selected. The Yakult Swallowes, Yokohama DeNA BayStars, Orix Buffaloes, Hanshin Tigers and Fukuoka Softbank Hawks all had two players named to the National Team. In total, 10 of NPB’s 12 clubs are represented on Japan’s U-23 World Cup roster, as the Chiba Lotte Marines, Chinichi Dragons, Hiroshma Carp and the Seibu Lions each had one player honoured. Six players on Japan’s roster are top prospects in Japan’s Industrial League. Among Japan’s pitching staff, Rakuten Eagles flame-thrower Tomohiro Anraku is considered one of the brightest young stars. 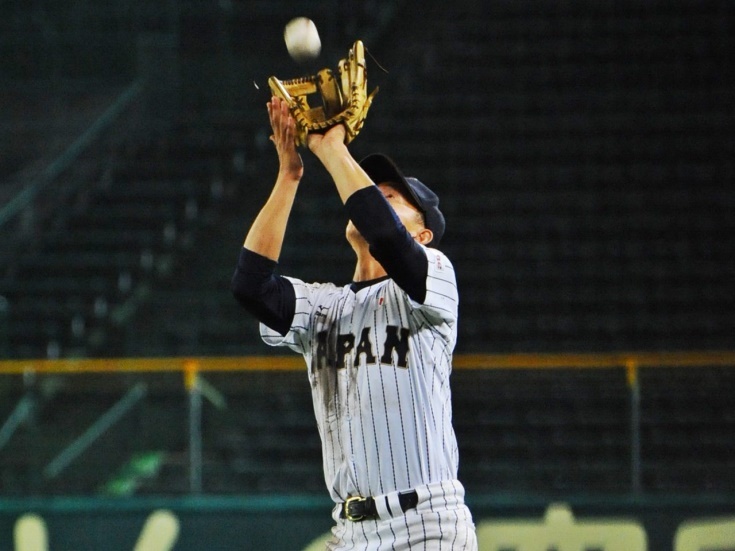 In 2013, Anraku competed for Japan at the U-18 Baseball World Cup in Taichung, Taiwan, and was named to the WBSC U-18 All-World Team. “It’s a great honour to be selected, and I will do my best to meet the expectations,” Anraku stated in a Rakuten Eagles news release. Japan is in Group B and will open the tournament against No. 18 Nicaragua and will then take on No. 4 Chinese Taipei, No. 27 Argentina, No. 33 Austria and No. 13 Australia. J-Sports, one of the largest sports TV networks in Japan, with a platform reaching out to more than 7 million households, will broadcast Japan’s Opening Round battles, while BS-TBS will carry the Super Round and Finals, if Japan advances. Japan earned the silver medal at the U-21 Baseball World Cup 2014.